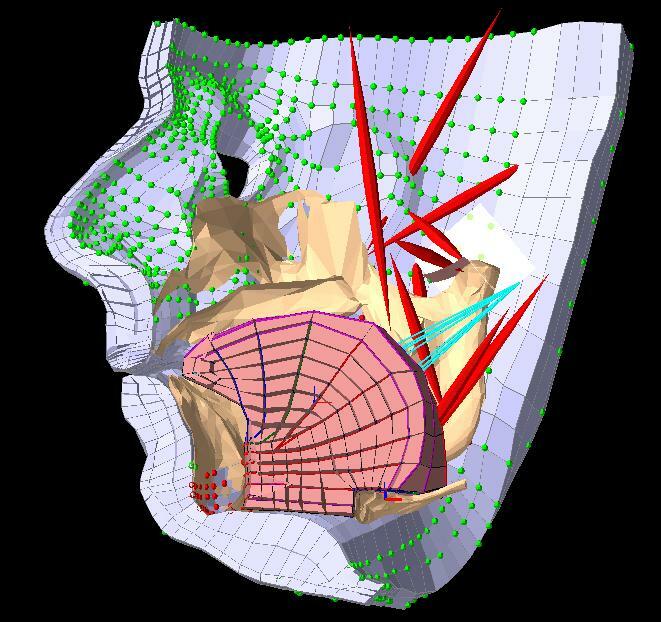 Our mission is to advance the state of the art of three-dimensional dynamic computer simulation of anatomical and physiological structures modeling by constructing physically-based, three-dimensional computer models. 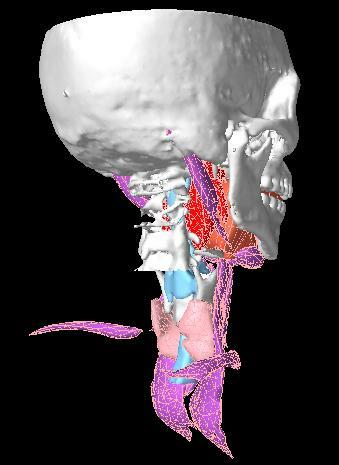 The goal of this project is to create a complete biomechanical model of the human Oral, Pharyngeal and Laryngeal (OPAL) complex and study its application to disorders of this area. Dynamic modeling of muscle-driven anatomical structures provides a means to better understand complex biomechanical system. Anatomical structures such as the OPAL complex involves in a wide range of important functions including mastication, swallowing, respiration, and speech production. 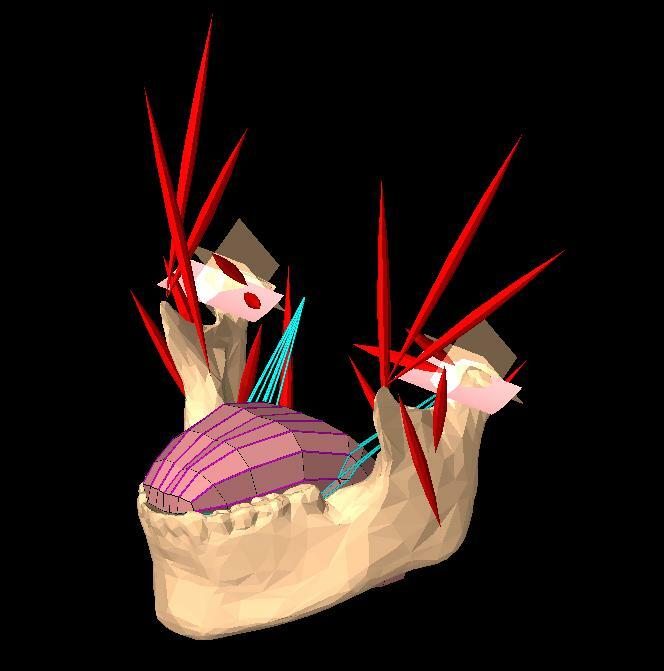 Comprehensive models of the oral, pharyngeal and laryngeal mechanics will enhance our limited understanding of dysfunctions such as obstructive sleep apnea, swallowing disorders, and post-surgical deficits, such as reconstructive jaw surgery. We are a multidisciplinary research group with members coming from various backgrounds including computer science, electrical engineering, mechanical engineering, dentistry and linguistics. We are actively involved in research related to biomechanical modeling, physical simulation, imaging processing and control mechanisms. The information on these pages should not be used for the diagnosis or treatment of any medical condition. Links to other sites are provided for information only and do not constitute endorsements of those other sites.